When was the last time you did nothing? Intentionally nothing? You’re probably scratching your head. Why would anyone do nothing on purpose? Isn’t that just plain laziness? No! It’s time for you to intentionally do nothing and reap its benefits. We fill our schedules like crazy. It seems if we don’t have an activity going on, we’re not really doing anything. Our mind gets into this overdrive mode. It’s so difficult to slow down and enjoy the now and then. Even doing nothing has a negative association. We have to be constantly occupied. When was the last time you queued for something and didn’t check your phone? These days, almost everyone on the metro is checking their phone or listening to some music or something else. How often do you see two people actually talk to each other while riding the metro? Being constantly switched on, our brain is struggling to cope with not checking our phones or emails on the laptop. It’s almost an addiction to see who posted what on Facebook, Twitter or Instagram. To follow the news 24/7 and to respond to work emails when waking up in the middle of the night seems to be the desirable goal. But this is really what’s good for us? Why is it so hard of doing nothing for a while? There’s the negative connotation. We have to be doing something. After all, what’s the purpose of doing nothing. Being busy is such a great thing. It’s how we measure our success. Yet, it’s counter-productive. But can we be lazy doing nothing? Doing nothing is not the same as being lazy. That stigma is out and scientist are working on illustrating the benefits of doing something. After all, doing nothing does lead to something positive! By doing nothing, we’re giving ourselves the opportunity to step back. We become more creative and more productive. We become more used to being in our own company. We learn to live and experience the very moment. Scientist have even discovered that doing nothing actually increases our quality of life. Who would have thought that was one of the benefits? Having some down time, our brains have the time to digest our experiences and thoughts. It consolidates memories and reinforces learning. It also gets the chance to empty out the clutter which often occupies so much headspace. By actually resting, your brain maintains its level of attention and stay sharp. This in return leads to us being able to discover new ideas, new concepts, see situations from a different angle, find new solutions. Our creativity is being refreshed and our productivity increases, too. Taking a step back, we are giving ourselves a priceless gift: A better quality of life! And who doesn’t want to experience their life its the fullest and truest? Without constantly being sleep deprived, sluggish and exhausted, worried about not getting everything done and anxious about ever being good enough! Doing nothing can help you improve your life! I certainly want more from my life and if I can get that by la dolce fare niente, bring it on! Are you a workaholic or a Fidgety Philip and still want to reap the benefits from doing nothing? Start small. Turn your TV, radio, email and internet off. Set your time for just 2 minutes, just 2 minutes and start do nothing. How does make you feel? Not sure what do with your time? All these unfinished and seemingly pressing projects popping up in your head? Allow them in, recognise them and yet, don’t write them down or even do them. Try to enjoy these 2 minutes of doing nothing. When you do it for the first time, it probably feels very odd and strange. Or at least it did for me. Do this activity for a week and notice how your thoughts and emotions change during these 2 minutes. Gradually increase your time to 5 minutes, then 10 minutes and 15 minutes. Can you last 30 minutes, a whole half hour, doing nothing? I’d love to hear what your experiences of doing nothing has been. What was challenging? What came naturally to you? Write me a short comment below. Can you believe it? Time is flying. 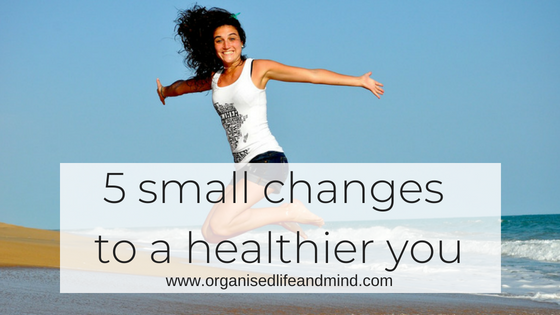 A number of my clients and friends vowed to make changes to their lifestyle at the beginning of the year. It’s now June and where are they with living a healthier and active life? Are you ready for the holy month of Ramadan? In less than a week, the holy month of Ramadan will start. Muslims will bring daily sacrifices by fasting and will be rehearsing the Koran. It’s a time where friends and family come together. Regardless of their religions, Iftar meals are enjoyed throughout the country. The holy month is also a time for reflection which we so often neglect. This special month can also be a very busy one. How can you prepare for Ramadan 2016? 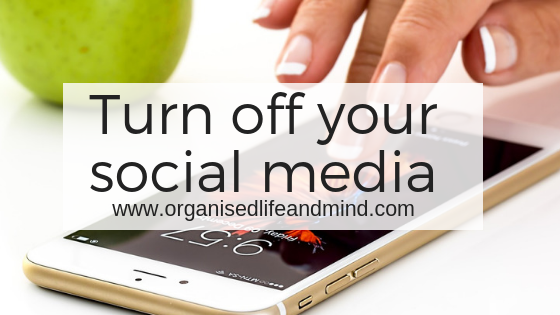 Digital Detox – Are you glued to your phone? When was the last time you and your phone were separated? Let’s say for an hour. You two in two different rooms. Remember that? No? Neither do I and it’s scary. My phone and I aren’t glued together but… It’s time for a planned, digital detox! It all started last year when I went on a holiday and international roaming wasn’t working. It was an absolute shock – it happened on my work phone and I was supposed to give a presentation. Little did I know then that international roaming hadn’t been set up by the company. If I had, trust me, relaxation would have kicked in a lot sooner. The first few days were like cold turkey. Luckily, my personal phone was still working and I had my connection to back home. At the end of the week, I realised something had to change. I didn’t want to be so dependent on phone, tablet, laptop, you name it.